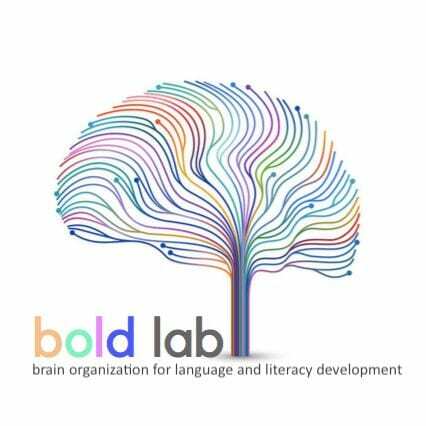 Researchers at the BOLD Lab study how a child’s brain develops and supports complex cognitive abilities such as learning language and learning to read. We want to understand how a child’s early life environment can impact development and change the brain’s capacity for learning. Our research focuses on different childhood experiences such as (1) growing up bilingual, (2) learning spoken and/or signed (e.g. American Sign Language) languages, and (3) growing up in communities with high risks of illiteracy. We use different, exciting neuroimaging technologies (fMRI and functional Near Infrared Spectroscopy; fNIRS) in combination with the latest genetic and behavioral tools of cognitive science to gain new insights into the biological underpinnings of language, reading, and human cognition! The scientific director of the BOLD lab is Dr. Kaja Jasińska. Visit website. Want to learn more about our research and get our latest updates? Check out our current projects page and our blog! Interested in science? You can volunteer for a study. We always welcome families, students, and community members. We would love to have you visit! Join us as a research assistant! Contact kmulford@udel.edu for more details.